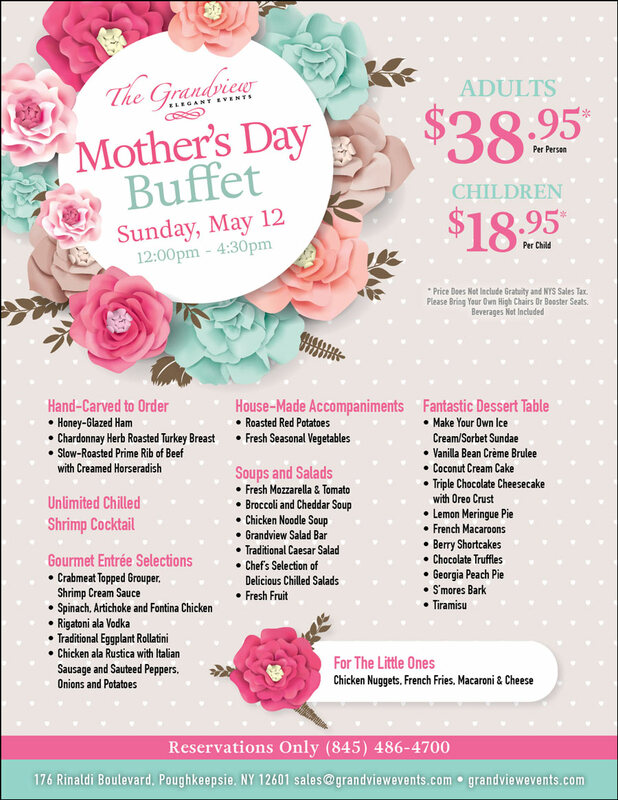 Celebrate Mom in the best way this year with a beautiful buffet overlooking the picturesque Hudson River. Our team at The Grandview are serving up succulent dishes the whole family will enjoy. After you have sampled all of our savory Hand-Carved offerings, treat yourself with decadent sweets at our fantastic dessert table. Please bring your own high chairs or booster seats.